Pre-payment plan for burial expenses. Single Burial Graves (Flat Marker for 1) ... $1,200.00. Single Grave, Flat Marker Graves (Burial for 2) ... $1,800.00. Single Grave, Monument Graves (Burial for 2) ... $1,900.00. *Interest free twelve month payment. Layaway plan for grave sites and columbarium. Does not include Package Pricing. Pre-payment plan for burial expenses. *Overtime charges apply for Holiday and Saturday services. *Package Price available for "at need" services only. *Interest free twelve month payment. 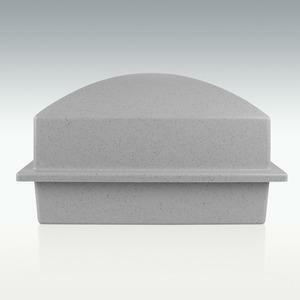 Layaway plan for grave sites and columbarium niches. (Does not include Package Pricing). Pre-payment plan for burial expenses. Package Pricing available for "at need" services only. Original Crematory Certificate, Burial Permit Copy and a signed Interment Order required for ALL urn interments. 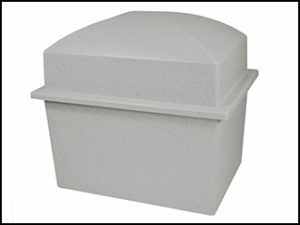 Outside: 16.5" x 12" x 9.5"
Inside: 14" x 10" x 6.5"
Outside: 16.5" x 12" x 15"
Inside: 14" x 10" x 12"
Urn Niches available at our Mt. Benedict and New Calvary Garden Columbarium’s. Please call 617-325-6830 for more information about any of our services. Our experienced and caring staff will help in any possible way to answer your questions. All prices are based on normal services additional fees may apply. For additional fees, please click on the fee schedule button. No burials on: Sundays, New Years Day, Memorial Day, Independence Day, Labor Day, Thanksgiving Day and Christmas Day. On New Year's Eve, Good Friday, Thanksgiving Eve and Christmas Eve cemetery offices close at noon. All burials must arrive by 11:00am. PLEASE CALL EACH CEMETERY DIRECTLY TO PLACE AN ORDER OR FOR SALES AND GRAVE LOCATION INFORMATION. Accepting Mastercard, Visa and Discover credit cards.